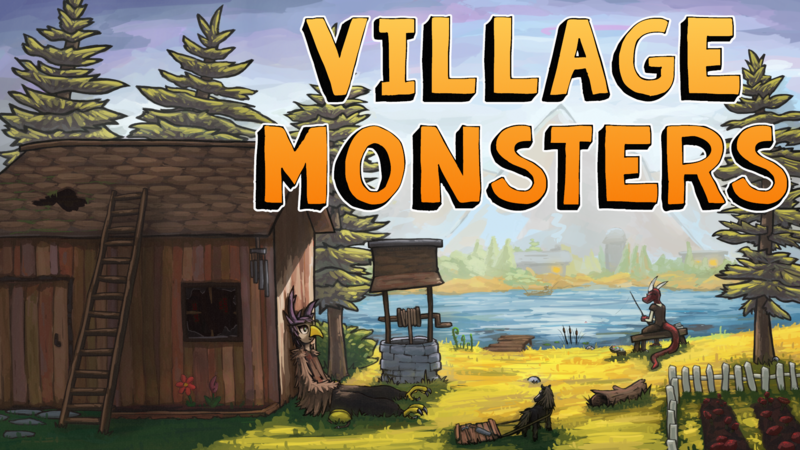 Welcome to another edition of Building a Village, the weekly dev log for Village Monsters. It’s wrap up time here at Village Monsters HQ. There’s an astronomically large demo coming down the pipeline this month, so I’ve been hard at work putting the finishing touches on it. The journal is a very important tool in the game. It tracks everything – from your collection progress, to areas you’ve explored, quests you’ve done, and so on. Until now it’s languished as just a secondary feature, but this week I began to give some much needed love to the journal. Improving UI isn’t the sexiest of work – especially when I do it – but it’s an important one. There’s certainly a ways to go before it becomes your trusty sidekick, but it’s getting closer every day. There are a lot of villagers for you to meet and befriend in the game, so if it seems like I’m constantly working on personalities, dialogue and interactions, it’s because I am! 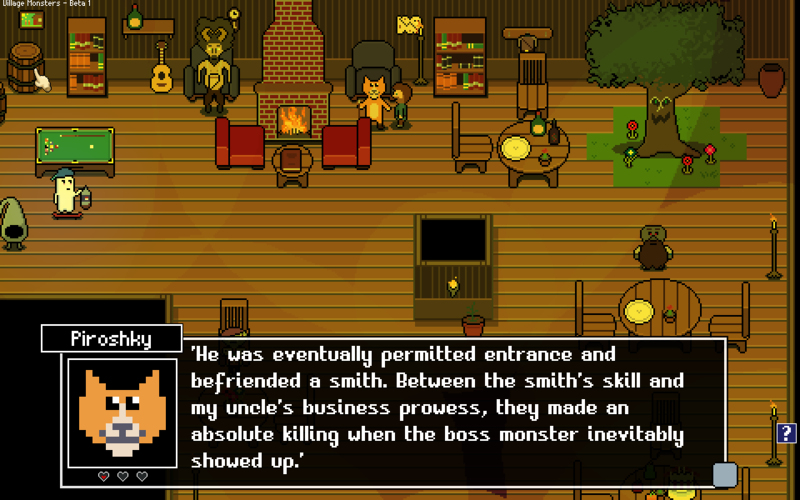 This week I worked on improving interactions with some of the merchants of the village. Let’s met a couple. 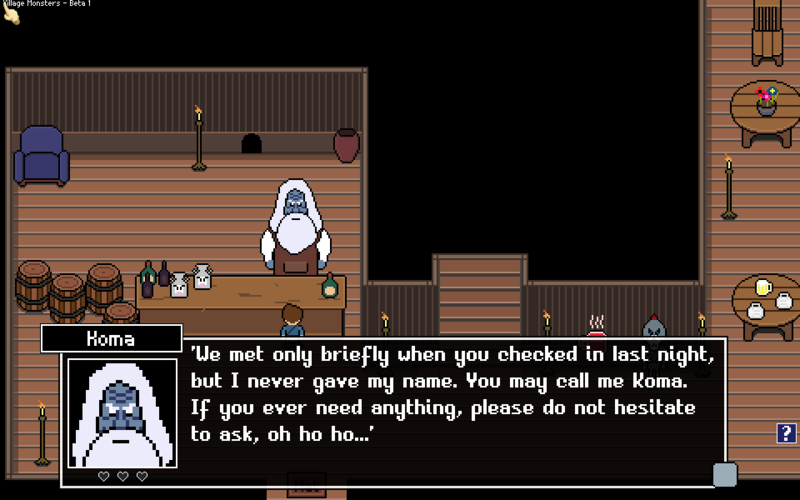 Koma is the innkeeper at Overflow, the town’s one and only tavern and inn. He’s a grandfatherly figure in the village, and you’ll find it easy to make friends with him and receive all sorts of sagely advice. Piroshky is a merchant cat who once traveled the world peddling his wares – until the Glitchwood took over his home in Yonder Yellowgrass, that is. He was forced to flee, and eventually found the village where he’s set up a permanent shop. The last demo I released earlier this year had a number of embarrassing bugs in it. There were a few reasons for this – most notably making major changes just days before the release – but there’s really no excuse for such shoddy work. Well, the lesson was learned, and while I can’t in good faith promise that the Beta demo will be bug-free, it should at least avoid crashing on you at the most inopportune time. 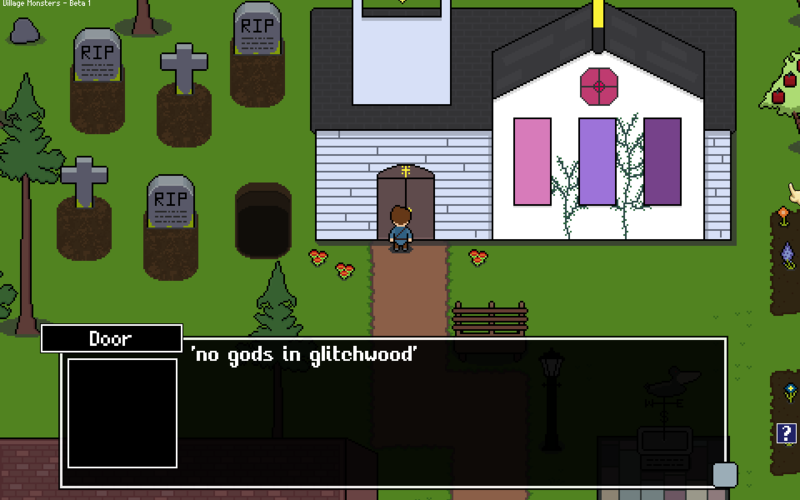 Much of this week will continue to be spent on simply testing and polishing the demo. This will likely be the final dev log for Beta 1. My son is due to be born any day now, and the original plan was to compile a release whenever that was so I wouldn’t need to worry about it after his birth. However, I plan to get a release out by the 31st no matter what, so one way or another the demo will be in your hands this week.